World Nomads has opened application for its 2014 Travel Photography Scholarship competition, offering one aspiring photographer a chance to go on assignment in the Peruvian Amazon. This opportunity is open to photography students or keen amateurs/pro-amateurs looking build a career in travel photography. You should be an exceptional photographer with a lust for adventure, have a strong desire to be mentored and grow your photographic knowledge and skills, an ambition to forge a career in travel photography. On your assignment, you will be working under the mentorship of renowned wildlife and natural history photographer, Jason Edwards. You will begin your photographic journey in the ancient capital of the Inca Empire – Cusco – where you will explore the rich history and culture of the Andean Mountain landscapes with Explorandes. From there you will travel into the heart of the Amazon basin to Madre de Dios, where you will explore one of the planet’s top biodiversity hotspots. During your Rainforest Expeditions trip, you will find out firsthand what life is like in the field for a travel photographer while capturing the rainforest wildlife and the conservation projects that WWF Peru supports to protect the biodiverse ecosystems and the livelihoods of the indigenous communities who call the Amazon forest home. 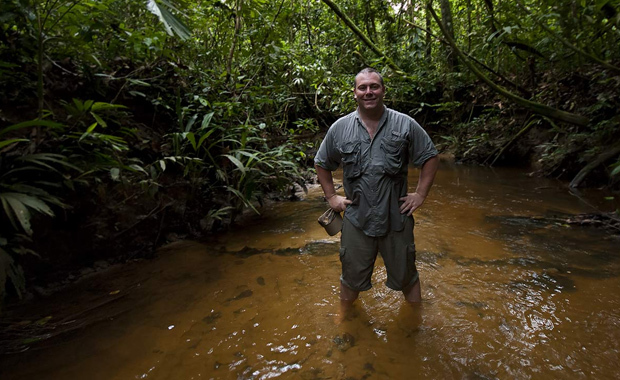 The winner’s 12-day bespoke trip to the Amazon will take place from 6th through 19th April 2015. Aside from the main competition prize, World Nomads will also award four (4) runners and twenty-five (25) shortlisted photographers.